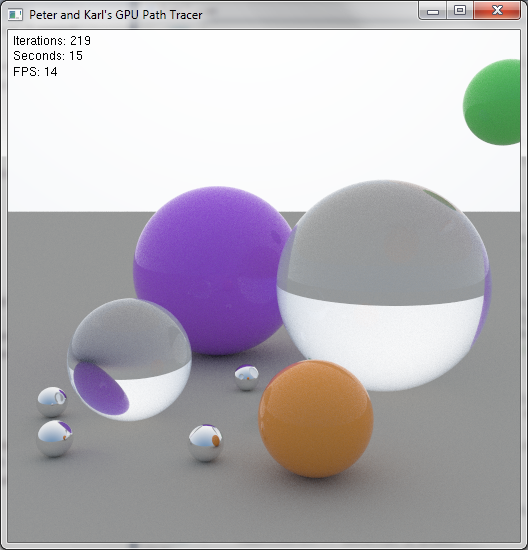 This post is the third update for the GPU Pathtracer project Peter and I are working on! Admittedly Peter has been contributing more interesting code than I have, which makes sense since in this project Peter is clearly the veteran rendering expert and I am the newcomer. But, I am learning a lot, and Peter is getting more cool stuff done since I can get other stuff done and out of the way! As always, check the posts for details and images!